Whitbread want to convert Brook House on Torrington Place to a 179 bedroom hotel. By News Reporters Whitbread plc is seeking planning consent to convert the Grade II* listed Brook House in Torrington Place to a 179 bedroom business and leisure hotel. 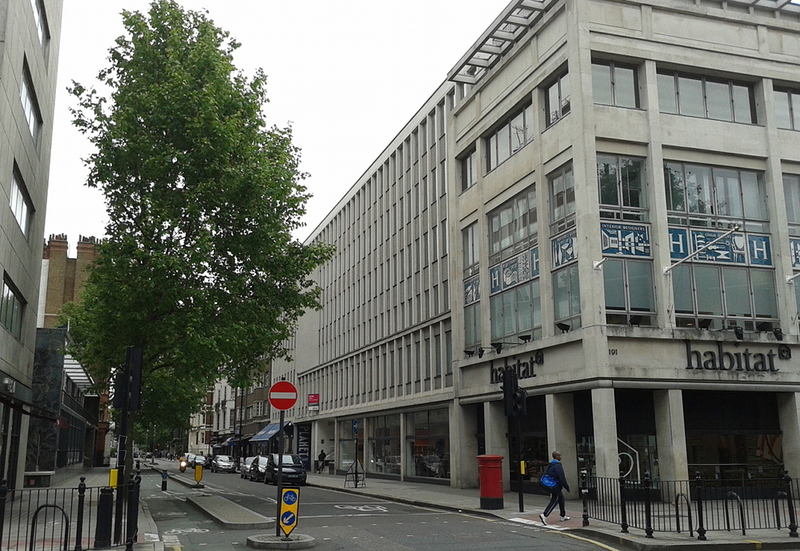 The office block which is on the corner of Tottenham Court Road is part of the building containing Heals and Habitat the furnishings stores. Planning and listed building applications have been submitted to Camden Council for consideration to allow the conversion of the upper floors from office to hotel and to allow an additional storey to be built on top. The applicant says office use is no longer viable on this site because the building is past its economic life. Camden’s planning policy requires other uses including mixed-uses to be considered but the applicants argue that the location is “entirely appropriate” for hotel use. However, when Whitbread consulted residents groups, concerns were raised about vehicle access to service the hotel and by guests using taxis in the narrow and already busy Torrington Place. The applications for listed building and planning consent are also available to view at the Fitzrovia Neighbourhood Association‘s offices at 39 Tottenham Street, W1T 4RX from 6pm to 8pm on Tuesday 18 June. Who precisely “raised” those concerns? Come on, Fitzrovia News. Let’s have your journalists write to us in the English language. Surely that’s the least that we can expect from you? I agree. You (the Editor and/or authors of articles) very often hide behind non-specific descriptions of individuals or groups who feel a certain way (almost always AGAINST whatever the article is about). I’m quite sure that the opinions presented are those of the author. Prove me wrong by naming names!! Tell us – who are these “residents” “neighbours” ” groups” etc etc who are always quoted in your articles? The news article is intended to be a very brief summary of the proposals. In four paragraphs and a picture we’ve provided a very basic summary of the facts. The fourth paragraph also has links to the planning application and all its documents if readers want to look further and make comments. 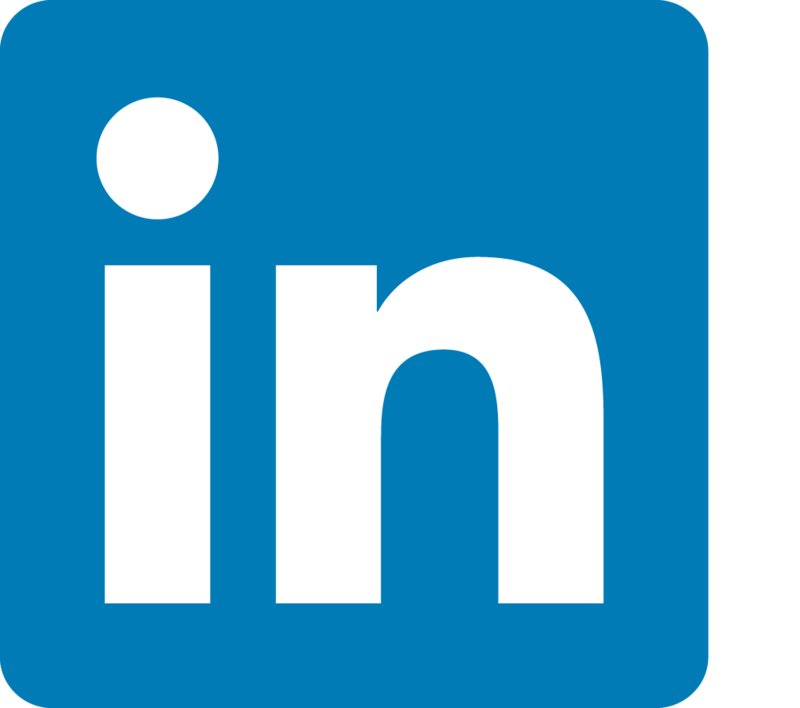 If you want the details, follow the links we provided. In the article we mostly used a summary document provided by the applicant. Of course we could have gone into more detail about the planning application and the pre-consultation. 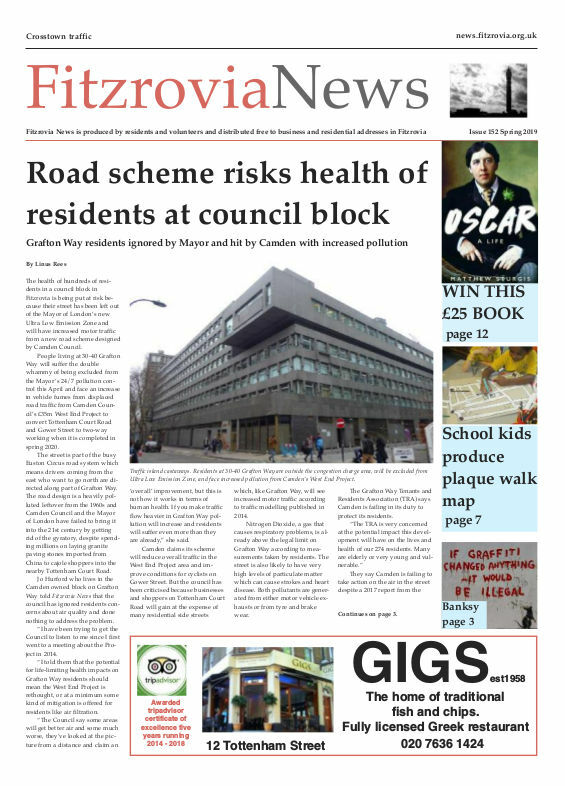 But Fitzrovia News is written entirely by volunteers and very few people are willing to look through pages of planning applications and write up reports. I wrote the news story and it was checked by the news editor before publication. (I also attended a meeting with the applicants and the public exhibition they organised). I hardly think the article is laced with my personal opinions. If anything, it is a rather dull summary. If I had more time I’d do something more comprehensive and interesting.